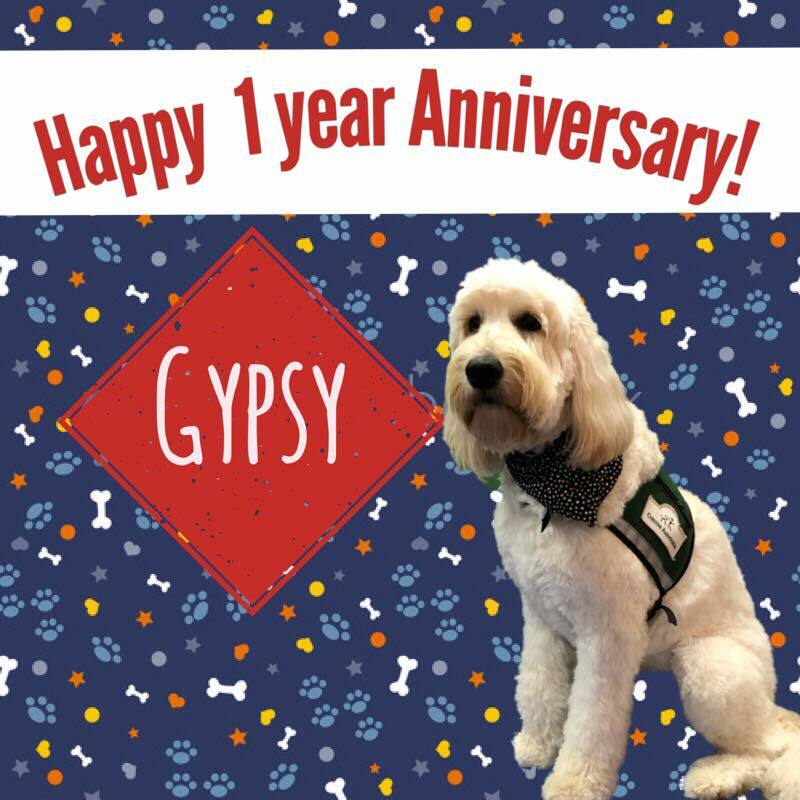 We would not want such a special occasion to pass without recognizing the 1-year anniversary of our sweetest, furriest and only 4 legged RPC family member…Gypsy! It is hard to believe it has been 1 year since Gypsy joined our family. For those of you who have not met her, Gypsy is a specially trained Goldendoodle. She knows that it is especially stressful for some children to be at the doctor’s office. It is her mission in life to offer unconditional love and comfort to those with special needs or who are extra scared. She loves making each visit the most positive experience it can be! She comes to work faithfully every week with her owner, Dr. Tolkan. If you see her at Crabapple or Old Milton, be sure to give her a special Happy Anniversary pat.